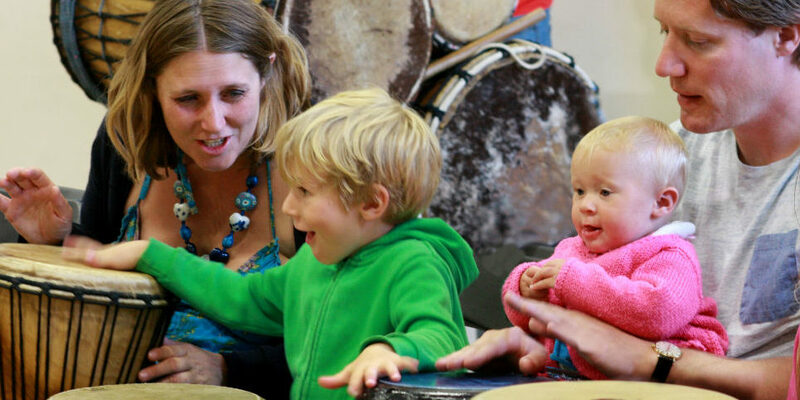 Ruth has a wide experience of managing music programmes and opportunities for children and young people. A varied background across the arts, heritage and cultural sectors has given her a broad knowledge of youth arts, education, and the health and well-being sectors. Ruth took over as Chief Executive & Artistic Director in 2018 from B Sharp’s founder, Fran Williams. Ten years ago, Jacques was a struggling musician trying to make a living through music. A chance encounter with Fran opened the door to his becoming a co-founder of B Sharp through which he has grown to be one of our principal music leaders. 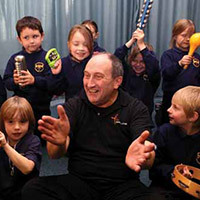 Jacques delivers early years, primary and secondary music making both in and out of school. Jacques also fronts two bands: Papa le Gal and Mr Jean. Hannah has recently joined B Sharp as a Music Leader. She is a violinist and singer. She has a love of all genres of music and likes exploring them in creative ways. Hannah is experienced in performance and working with children, so bringing her energy, enthusiasm and experience into the mix adds to B Sharp. Harvey joined B Sharp age of 12 and wasn’t even playing music then! Harvey is now at Bristol University and comes back to work and play with B Sharp when he can. Harvey was a Young Trainee helping to run sessions at Hub Jams, Boombox and Early Years. He’s been part of many events over the years and, in 2017, participated in ‘One’ our big singing project. He’s a keen performer and guest musician of LaunchPad, B Sharp’s band, as well as a member of an original/cover band based in Bridport. Hannah is a business entrepreneur and has managed a variety of organisations across several business sectors from the arts to sustainable construction and renewable energy. Her wealth of experience is key in taking B Sharp forward to its next stage of development. With extensive experience as a Chartered Management Account and (FCMA) and 14 years as CFO of organisations including National Gallery Publications Limited; the Medici Society Ltd; and Philharmonia Ltd; among others, Cliff is currently helping B Sharp with finance and business development. He is treasurer of the Chideock PCC and a Trustee of Lyme Regis Development Trust. Having retired in 2017, he works with “lifestyle” clients providing Financial Management to start-up and early stage development businesses. 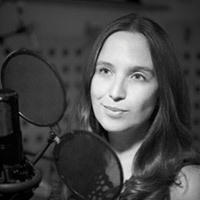 Sasha has been a professional performer since the age of 16 in television, radio and theatre and continues to work as a professional singer and actor. Last year she performed at The Roundhouse in London. She is working with B Sharp as a vocal skills and confidence coach bringing her passion for helping people find their voice and allowing them to feel comfortable in the spotlight. 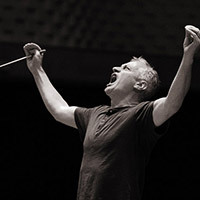 Mark is a composer, choral conductor, arranger and music educator. He is an experienced music educator with over 25 years experience (Chetham’s School of Music, Royal Northern College of Music and secondary schools in Devon and Dorset). He has more recently been the A level music course leader at Exeter College and is an A level Music examiner for Edexcel. He is a co-director of the Dorset-based digital visual and audio arts organisation DIVA contemporary. Currently, he is working with The Arts Development Company delivering their Face Forward Programme in the Bridport area (supporting young people not in education or training to develop their employability skills through arts participation). He currently is music director of the Bridport U3a Singers and Beaminster-based Parnham Voices. 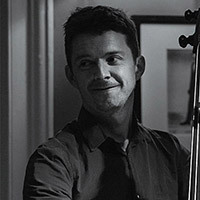 After studying at the Royal Academy of Music, Andy joined the London Festival Ballet Orchestra, became Principal Bass of the BBC Northern Ireland Orchestra, later joined the Bournemouth Sinfonietta and in 1996 was appointed ‘Community Musician’ for the Bournemouth Symphony Orchestra. E S G Robinson Charitable Trust Website??? Thanks to; Candles on the Cobb, Lyme Regis Regatta & Carnival, Ambition, Rex Trevett Memorial Fund and the Rotary Club of Lyme Regis. Jon Pogson – Musician/Music Leader After moving away to study at the Academy of Contemporary Music in Guildford, where Jon gained a 1st class degree in music with Guitar performance, Jon is now back working as a Music Leader with B Sharp on a variety of projects. Jon is also a professional musician, he has recently been on the Cat Stevens tour. Jon also tutors guitar. 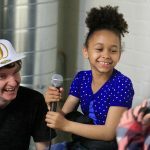 Ella Foxall – Mentor/YoungTrainee Music Leader Ella is a young singer/songwriter who, through B Sharp, has taken advantage of developing herself through music. Since joining us as a participant 3 years ago, Ella has become a peer-to-peer mentor and trainee music leader. She is also one of the co-founders of LaunchPad, B Sharp’s new house band. Fraser Earle – Mentor/ Young Trainee Music Leader Fraser, a guitarist who likes writing his own music, joined B Sharp as a young participant at the age of 11. He is now a peer-to-peer mentor and trainee music leader. 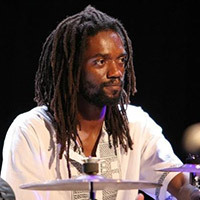 He is also one of the co-founders of LaunchPad, B Sharp’s new house band. Jessica Morton, Musician/Music Leader Jessica joined B Sharp recently as a Music Leader with the desire to further immerse herself in music in the community and develop her own musicianship. Since University she has taught all ages. Jessica is currently teaching Music at a local Primary School, giving private instrumental lessons and performing as a singer and pianist. Matt was an invaluable team player at B Sharp and helped coordinate our Big Mix Festival. Here’s what he has to say about B Sharp and the event. I joined B Sharp with the intention of extending my teaching/ musical knowledge.The first project that I was involved in, was a small project which was the B Sharp Annual Party. Leading up to this date my role and responsibility as a music leader was to work alongside the younger musicians, listen to their ideas and to then put into practise these ideas. A key responsibility was to treat all younger persons as individuals with varying needs, opinions and ideas. Also to act in a mature manner and being a good role model helped to maintain the younger persons focus and goals during this project. My self-confidence as a person/musician enabled the progression of the group, giving foundations for the whole project to move forward and show outstanding results and feedback from all of those participating/ watching/listening. I reached personal expectations that I set for myself which has given me the confidence to strive for further necessary personal goals and achievements. 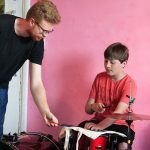 I now believe that my longer term goals and ambitions to become an established music teacher/therapist are more of a reality than a dream.Hear more about Dean’s Story.